A reminder that there will be a parish barbecue after the service on Sunday 6 September, in the Rectory garden (weather permitting), to which all are welcome. This marks the start of the 'back to normal' autumn season after the comings and goings of the summer. You know how it is: you wait ages for a bus, and then two or three come all at once. Well, having had no baptisms for a while, we have two successive Sundays this month - 13th and 20th - where our service will include this joyful sacrament, and give us all an opportunity to renew our commitment as disciples of Christ. On 12 September, from 9.30am to 1pm at St Mary-le-Bow, is a Presence and Engagement Network gathering. The network, launched recently by our bishops at St Mary Cable Street, is designed to support those working in multi-faith contexts (though, of course, in our case there is really only one other faith involved). The programme, which is displayed in church, is a good mix of speakers and mini-workshops. Let the Rector (who will be attending) know if you are interested. On 26 September, from 10.30am-1.30pm at St Paul Shadwell, there is a diocesan Youth Development Project event, arranged by Tower Hamlets Deanery. Further details from the Rector - it would be good to have representatives attending. In between, on 19 & 20 September, is the Open House weekend, for which details of the church are published, and we try to have welcomers on hand, on a rota basis. Please help if you can. We share in the sadness of Paul Kellaway, and his fiancée Hannah, at the sudden death of his mother Linda, and offer them our prayers. We continue to remember various members of our congregation who are anxious for partners, parents or friends undergoing treatment. We welcome back Georgina Bateman after her spell in hospital. Here are some reflections on our summer travels - short stays in three very different settings. 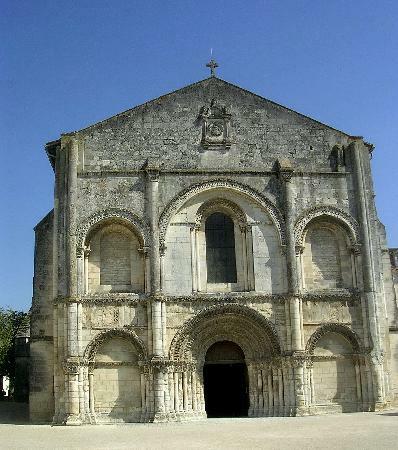 The first is from Charente-Maritime, a department of France about two-thirds down the west coast, and the image is the area's many beautiful and ancient Romanesque churches, several of which we visited. In France, the state maintains and repairs all churches built before 1906; most of the ancient ones have been carefully restored to something like their original condition. There is a paradox here. We have an 'established' church, built into the constitution in various complex ways, but receive very little state funding to maintain the Church of England's 13,000 listed churches (which form the vast majority of all listed buildings); yet in France, where there is a sharp separation between church and state, and religion is treated as a private affair, major funding is available! 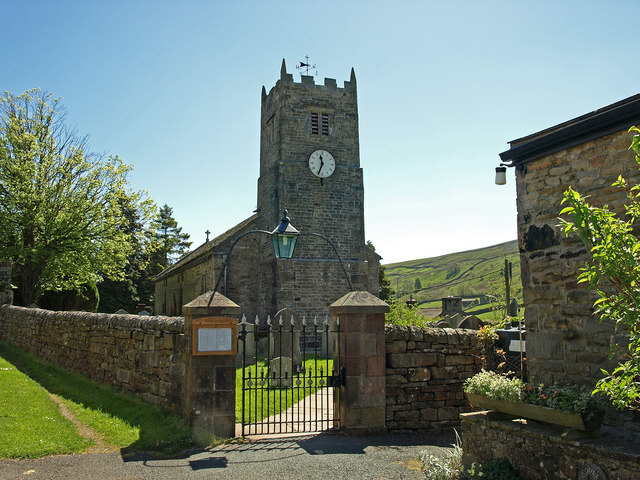 We might well envy this - though the downside is that it can be difficult to make internal changes to meet new pastoral needs - since the state treats them as historic monuments rather than places of worship. James and Elisabeth, our generous hosts, explained the situation as they see it. He is an Anglican priest, and she a Reader in the Diocese in Europe, ministering across ten local congregations (and a member of the diocesan synod); but unlike most ex-pats, they are very fully immersed in French life. James, with a background in religious education, continues to represent the church on various European bodies in Strasbourg, where they previously lived, and his French is perhaps more accurate than that of many native speakers; he is also a member of the local French Reformed church (linked to the Church of England through the Reuilly Agreement of 2000), and both are involved in many ecumenical activities. James is an expert on the distinctively French concept of laïcité (usually, but inadequately, translated as 'secularism'), particularly as it affects education. Stemming from Napoleon's time, it was enshrined in law in 1905 as a way of dealing with France's traditional and strongly-held anti-clericalism, and by drawing clear lines between church and state serves to give equal treatment and freedoms - though within prescribed limits - to all recognised faith communities (but not to sects or cults, as witness the current spat with Scientology). As cases involving the veiling of women show, there are now some particular problems in relating all this to Islam. The sad thing is that most priests and nuns in the French Roman Catholic church are elderly and are not being replaced. We had dinner with the equivalent of the archdeacon of the local diocese, one of the few priests under retirement age. This contrasts with the expanding Anglican presence in the area - most of them 'borrowing' local parish churches for worship. We return to England for our second snapshot, of Muker in Yorkshire's Swaledale valley, where gentle drizzle most days keeps everything incredibly green, and there are rather more sheep than people. It's in the diocese of Ripon and Leeds, and feels a world apart from the deprived parishes of downtown Leeds, yet the local benefice (four churches, one priest - but several retired clergy in the area) was preparing for a visit from Bishop John, and the congregation in the village church we attended was nearly as large as our own. Local churches had organised a well-attended holiday club for young people, plus several other summer social activities, and there was a positive feel. In the past, each village had two or three nonconformist chapels as well; one wonders how they ever flourished, and most, though not all, have now been turned to other uses. Here, then, is an encouraging example of the Church of England coping well with the 'rural challenge' - though, of course, it might feel rather different in the depths of winter, when second home owners have gone, roads become impassible and communities are isolated. It reinforced my view that, despite the outward differences, rural and inner-urban churches have more in common than is often imagined. 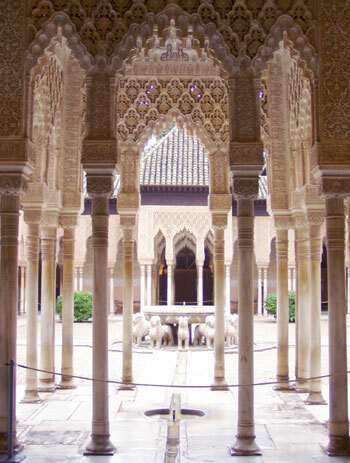 The final snapshot is from Andalucia, in Spain. We stayed at a friend's house whose name translates - accurately! - as 'Windy Corner', ten minutes along bumpy dirt tracks high in the Alpajurra mountains. The setting, and the house, are spectacular: in place of the street noises of E1 there is only the sound of goats' bells, and we gathered figs, almonds and grapes from the terraces with their centuries-old irrigation system. But we did venture out into the bustle of Granada, to show our daughter Miriam the wonders of the Alhambra, the 'red fortress' built in the 14th century by the region's Moorish rulers, and now one of Spain's major tourist attractions. Its spectacular palaces mark the high-point of Islamic art and architecture, and its formal gardens, with flowers, cypress walks and tranquil fountains (fed by ingenious aqueducts) have a tranquillity even when filled with coach parties. In medieval Granada (the name means pomegranate - symbol of diverse fruitfulness) members of the three Abrahamic faiths - Jews, Christians and Muslims - lived harmoniously and creatively together. Art, literature and science flourished. But in 1492 Christian forces, led by King Ferdinand of Aragon and Queen Isabella of Castille, took control of the region, as part of wider movements across Europe. Despite their promises that religious diversity should remain, Jews were soon persecuted and expelled, followed by Muslims. Many of them fled to North Africa. South of Granada stands the mountain pass Suspiro del Moro - 'the Moor's Sigh' - from which Boabdil, the last King of Granada, looked back over all that was lost, to which his mother famously retorted Now you weep like a woman over what you could not defend as a man. This snapshot has a very contemporary ring, for the desire of people of different faiths to live together in mutual respect is violated by the fundamentalisms of our own time. In some areas the aggressors, who would squeeze others out, are now Jews; in others, Muslims. And although the Crusades and the Inquisition are now history, Christians are not entirely free from blame either. How tragic this is, when history shows us that there are times and places where better ways of co-existence have worked, and have worked well. But finally: I should make it clear that, though I have drawn these lessons out of our holidays, they were in fact mainly times of rest and recreation - with suitable food and drink, and good company... And I hope that has been true for all our readers who have been able to take a break in August!